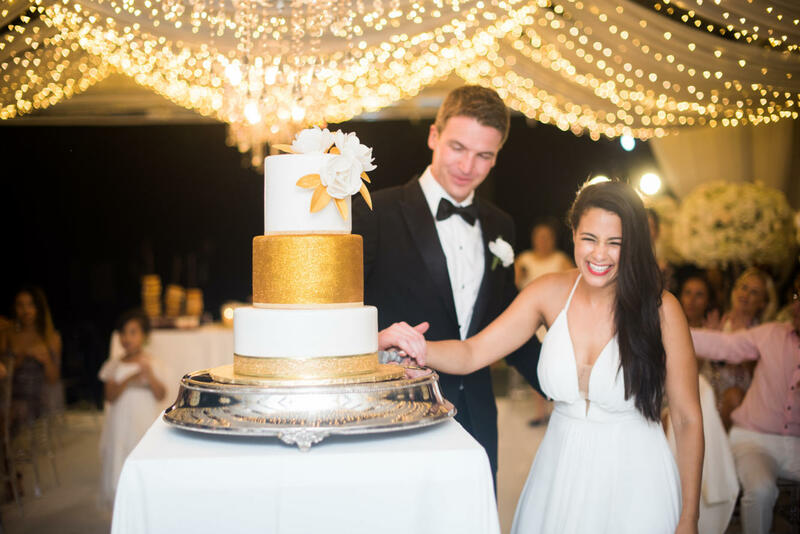 Simple yet luxuriously elegant was the order of the day for Rosa and Dane as they were pronounced man and wife at the Jia at Jivana Villas in November 2017. 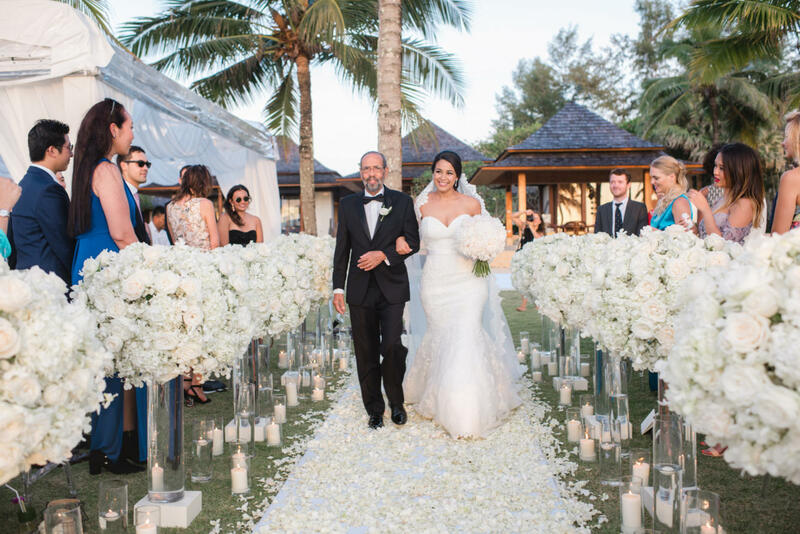 The Australian Dane Garrood and Spanish-rooted Rosa Santos settled on Phuket location after having to find a central meeting-point for their families. 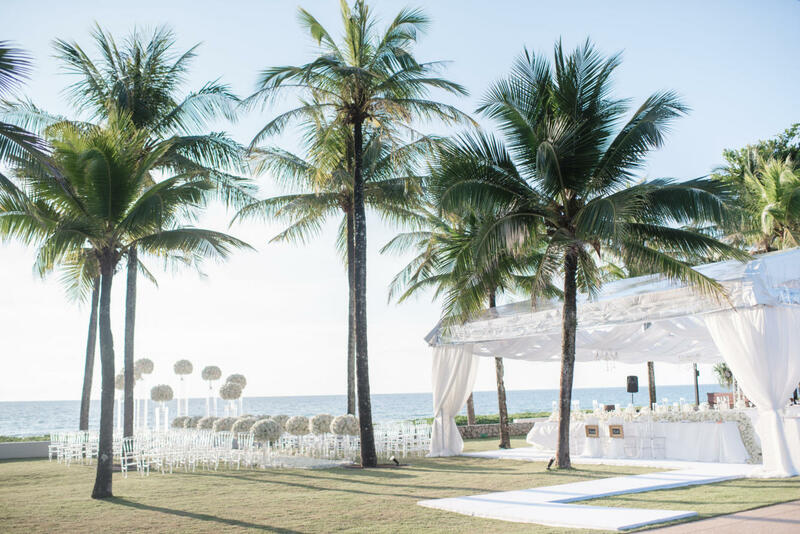 The Asian-based couple found it natural and ideal to host their wedding in their current home-continent. “Thailand was the best place because of its natural beauty. It is truly a beautiful paradise,” Rosa says. 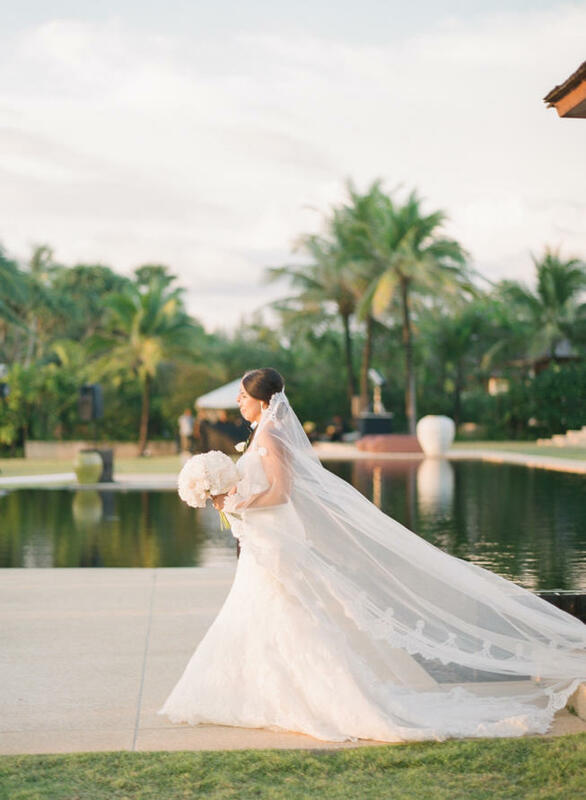 She shares how they had visited a few places on the island before making their final choice. 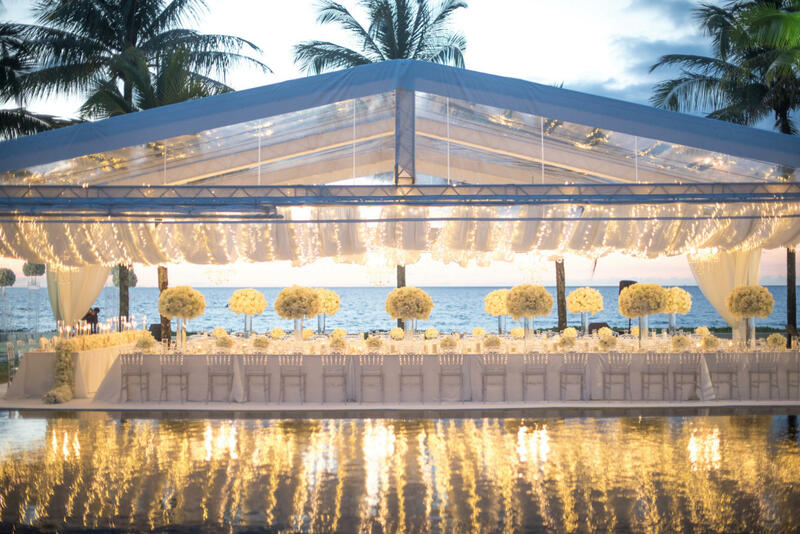 “Both villas (Jia and Shanti) were breathtaking, literally beachside with the sun setting in the evening over the picturesque water. 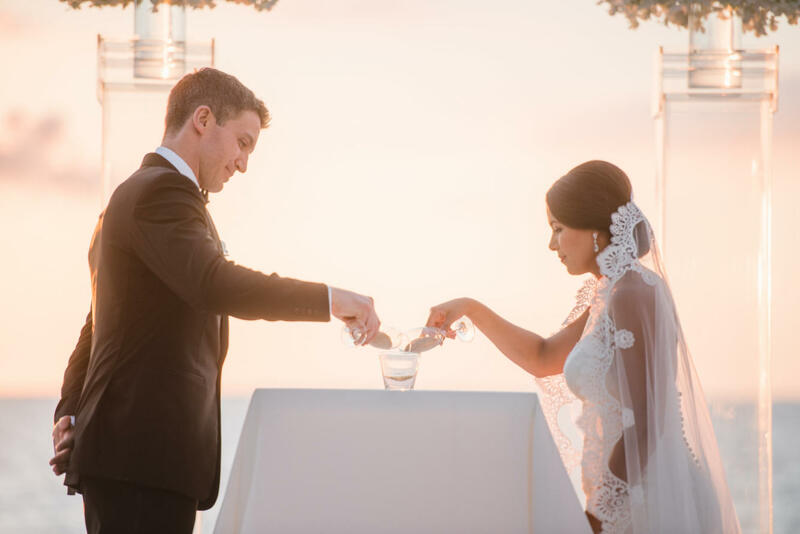 We absolutely loved it,” Rosa adds. 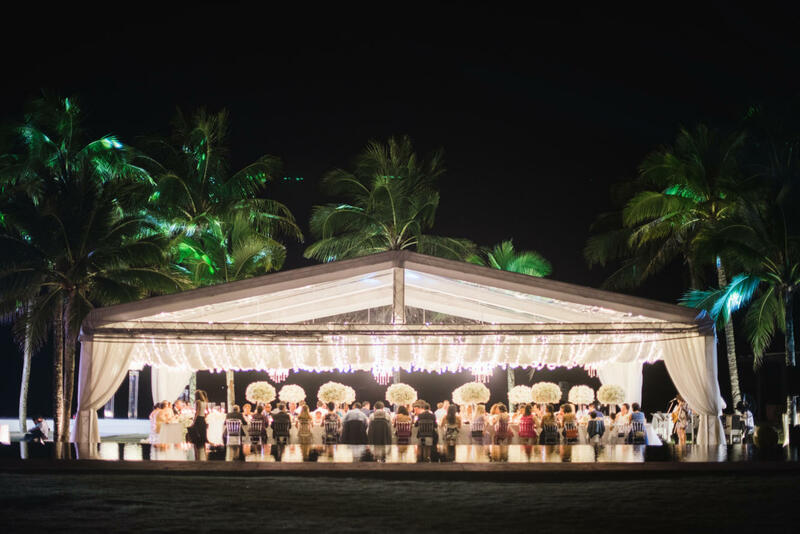 The couple rented both villas for the event. For the comfort of their guests, they recommended Aleenta and Akyra for accommodation to the pleasure of their entourage. Idea-browsing app Pinterest was a source of reference and inspiration when it came to colour choices for Rosa. 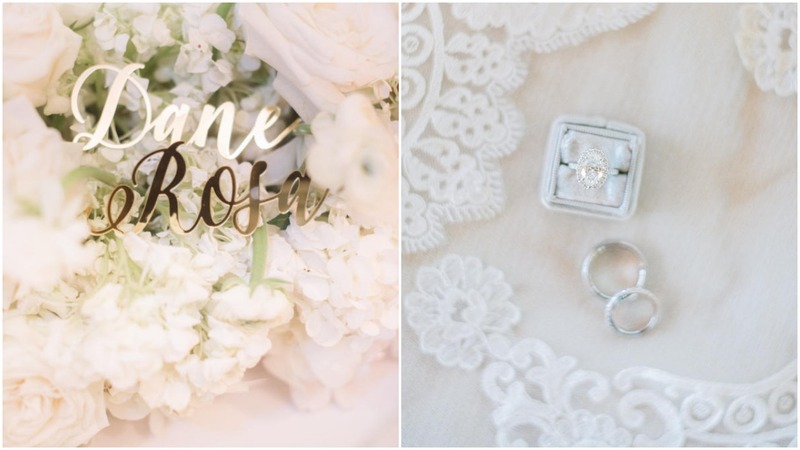 “I love the whole white, gold and ivory combination. It is clean, beautiful and you could never go wrong with any of those colours,” she adds. 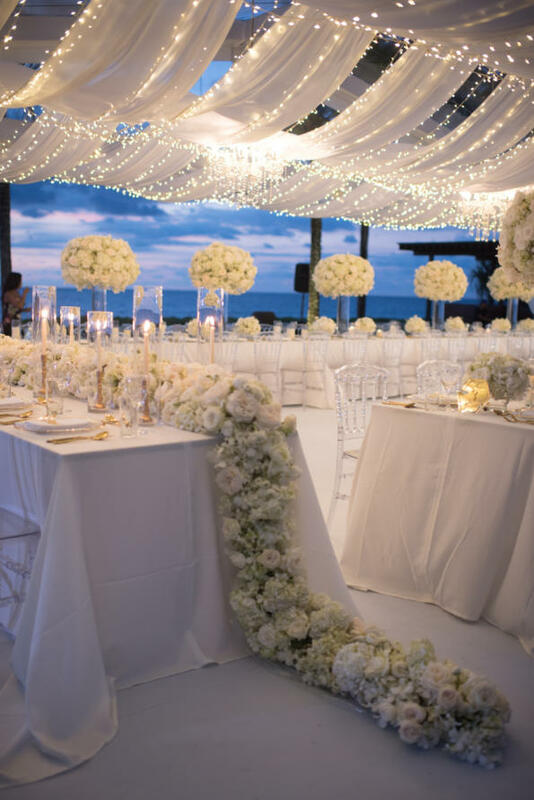 She was certain she wanted lots of flowers and candles for a romantic, elegant and classic but modernised look. The result: “Everything turned out beyond my expectation. 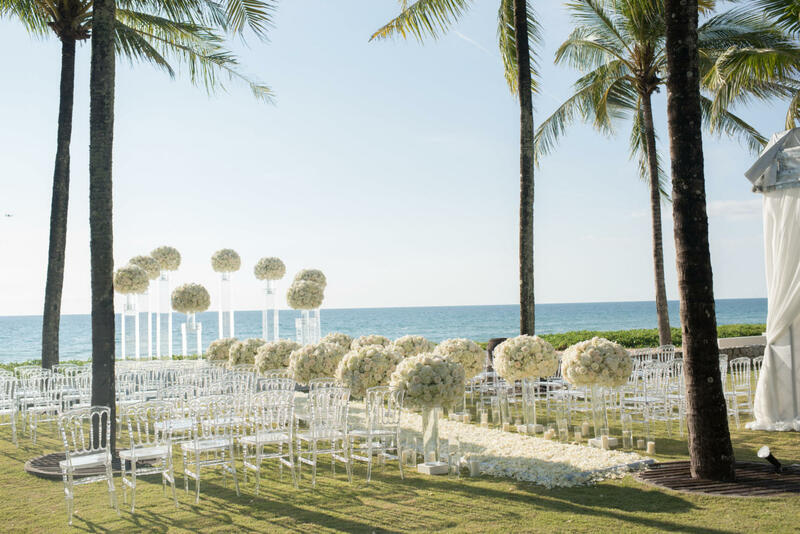 It was absolutely beautiful” – a skill that wedding planners The Wedding Bliss Thailand, is known for. 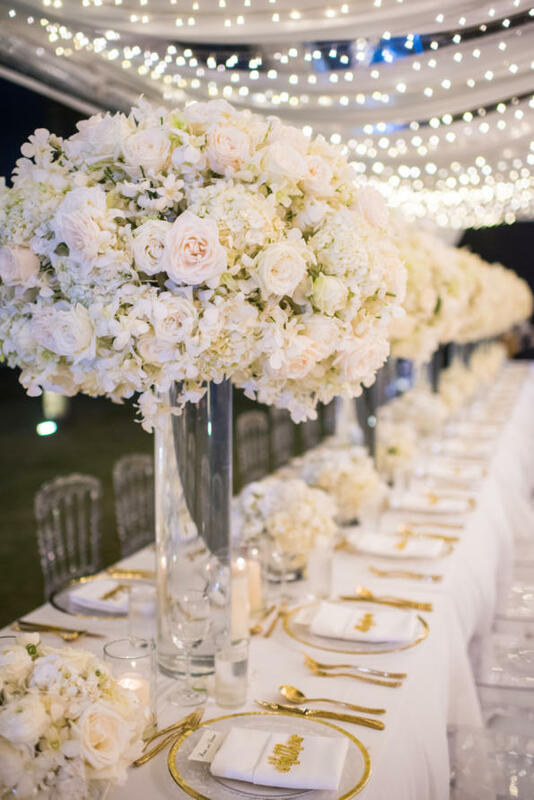 The setting took on a pure, celestial look with a magnanimous amount of white roses and other white blooms. 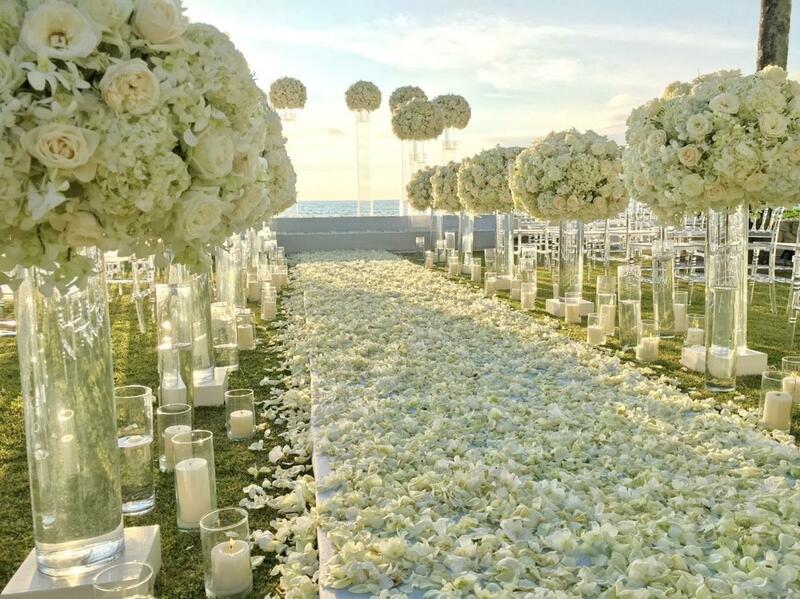 White flower petals covered the aisle where the bride walked towards her standing groom. 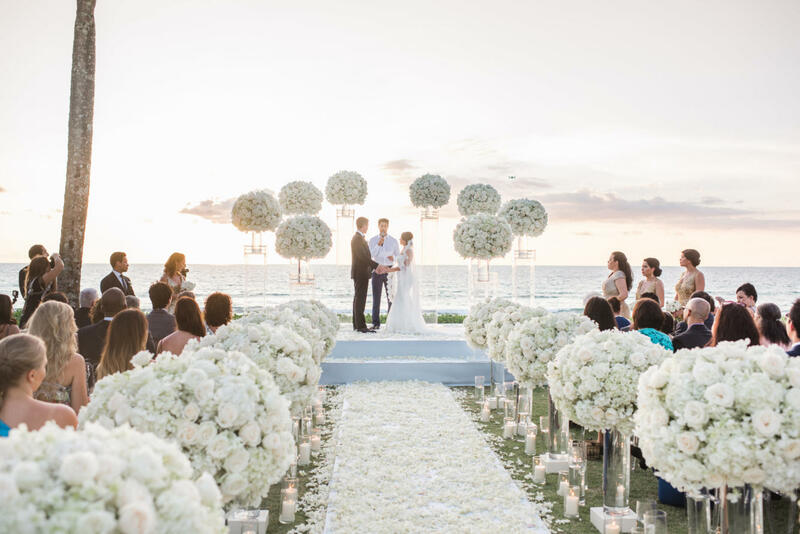 He stood in the middle of six towering tiered white bouquets on a platform, blending against the backdrop of a cerulean ocean. 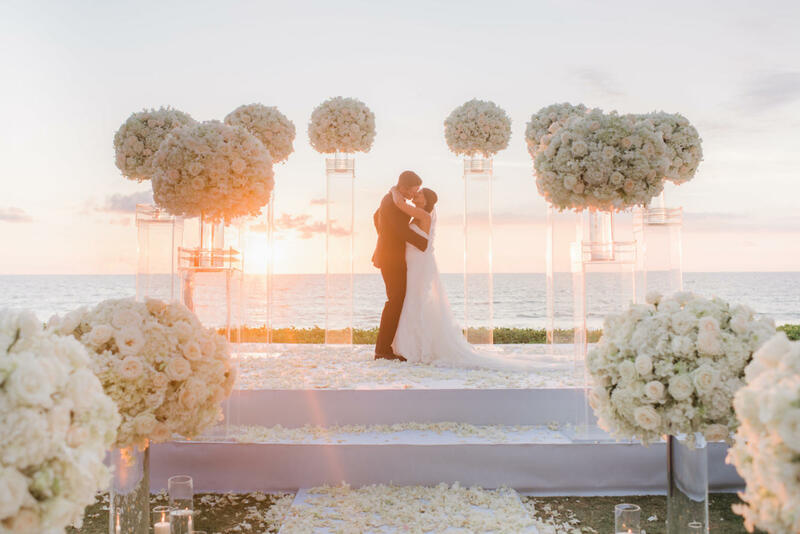 Her hunt at Miami-based bridal shops lining up Pronovias, Inmaculada Garcia, YolanCris and Jesus Peiró came to an end when she put on the Rosa Clará at the last shop she visited. “I immediately fell in love with it. It was the perfect dress for my body type, and Latina background,” she says. Allowing her hair and make-up stylist an almost complete freehand, she said she only gave Neil Donkin a rough idea of her desired look. Looking back, Rosa said agreeing on what they both wanted, and what they wanted to spend on was a challenge. Acknowledging the stressful situation, she adds that it was worth it. 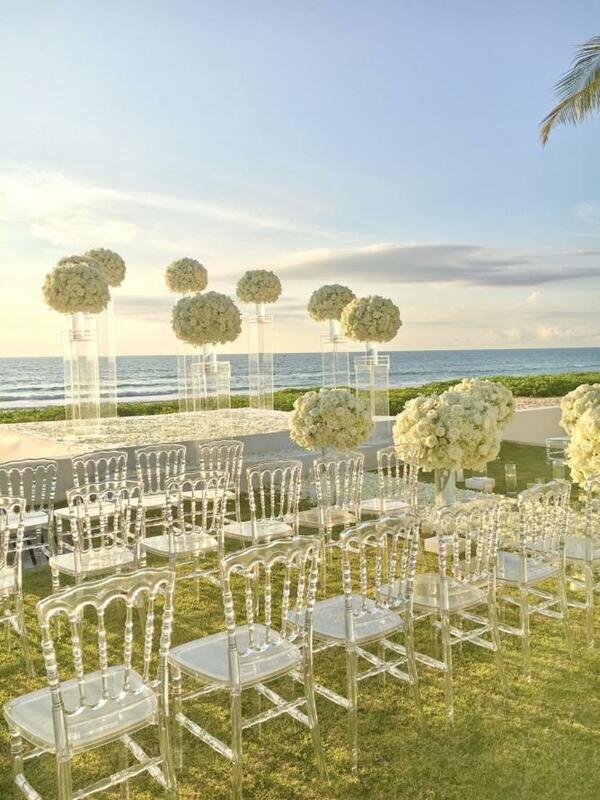 “Thank God we had an amazing wedding planner. 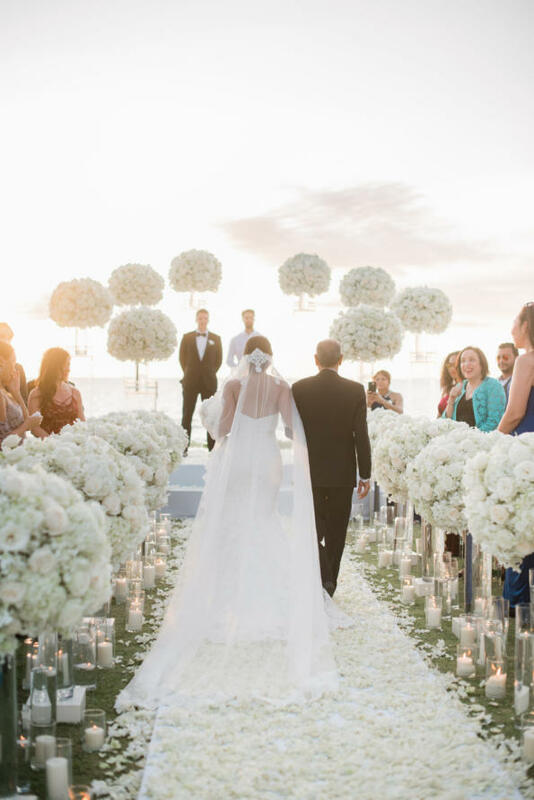 The whole team was absolutely amazing and helpful,” Rosa said. 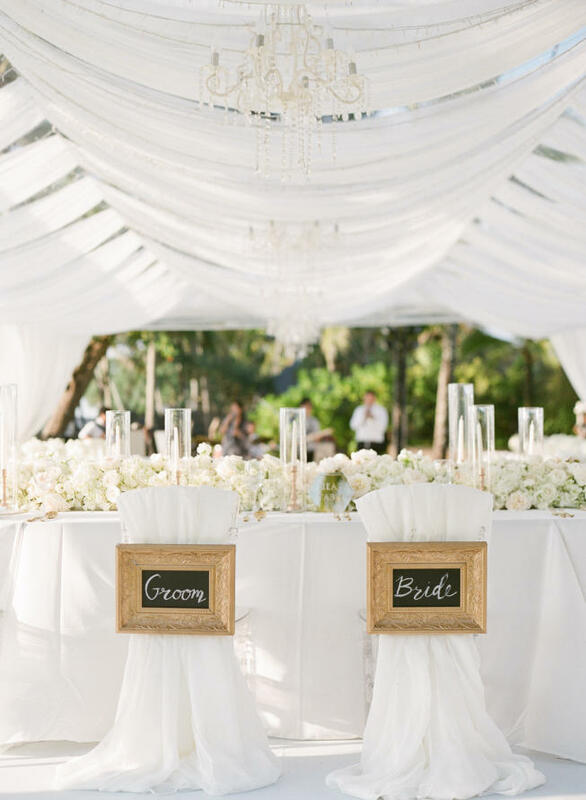 In the same line, she offers advice for soon-to-be-wedded couples to keep a set budget. 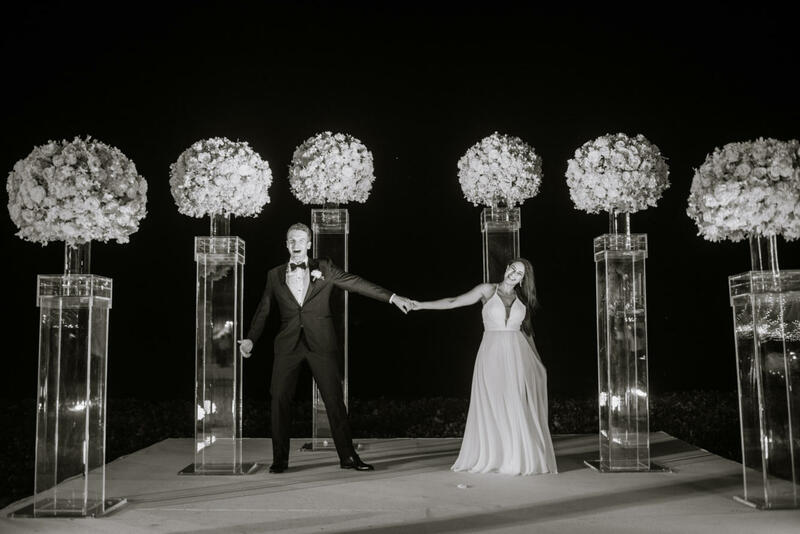 She shared how Dane and her did not stick to the budget they had talked about earlier on but, Rosa adds, if you want to have a beautiful wedding, you would have to splurge a bit. 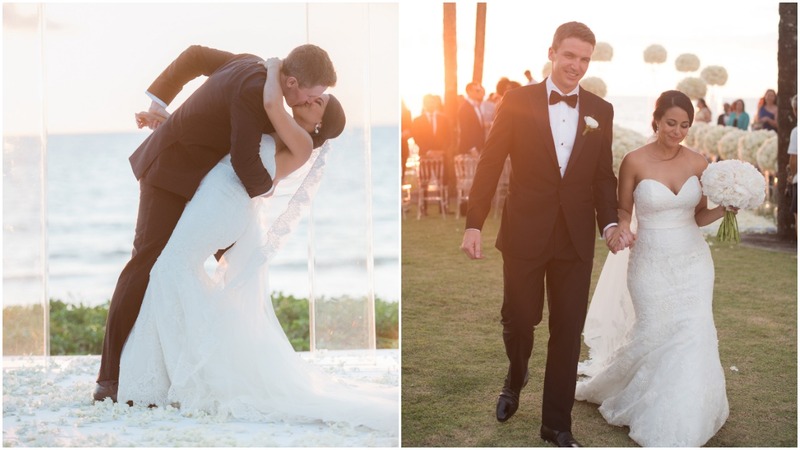 Bride’s attire: Rosa Clará, Jimmy Choo, Tiffany & Co.
Groom’s attire: De-Luxe Tailor, Corthay, Tiffany & Co.